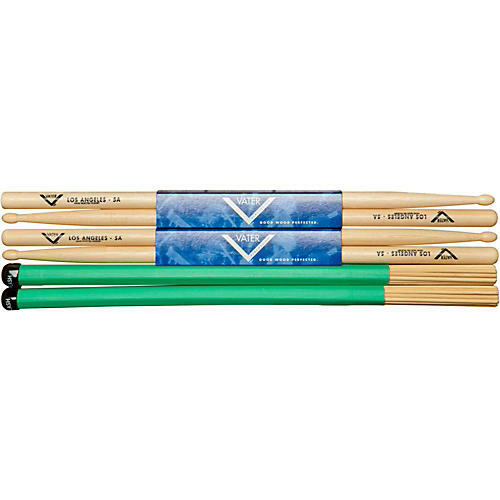 Vater 5A Sticks feature a rounded oval-style tip for full tones and fast attack from around the drumkit. Great for any musical style. Also included is a very small diameter (under a 7A) bamboo splash for ultra-low volume playing. The bamboo offers superb durability and some added weight for a solid feel, without excess volume. Bamboo is also the fastest growing plant on Earth, making this a very eco-friendly percussion product.